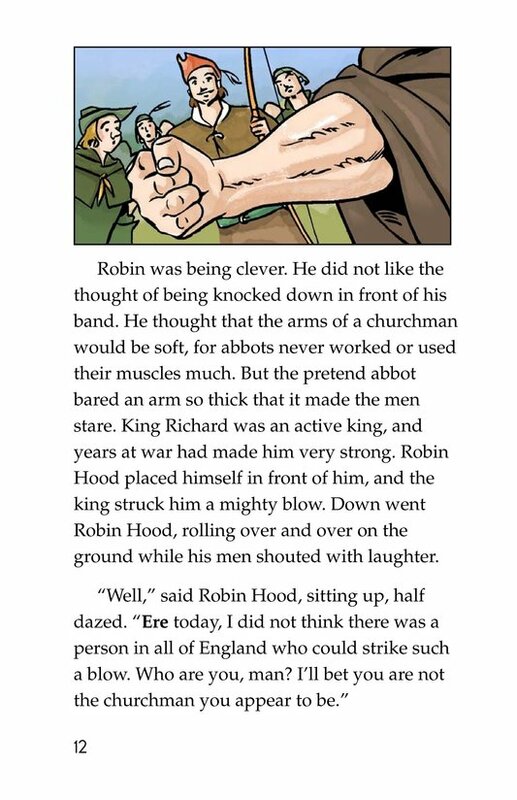 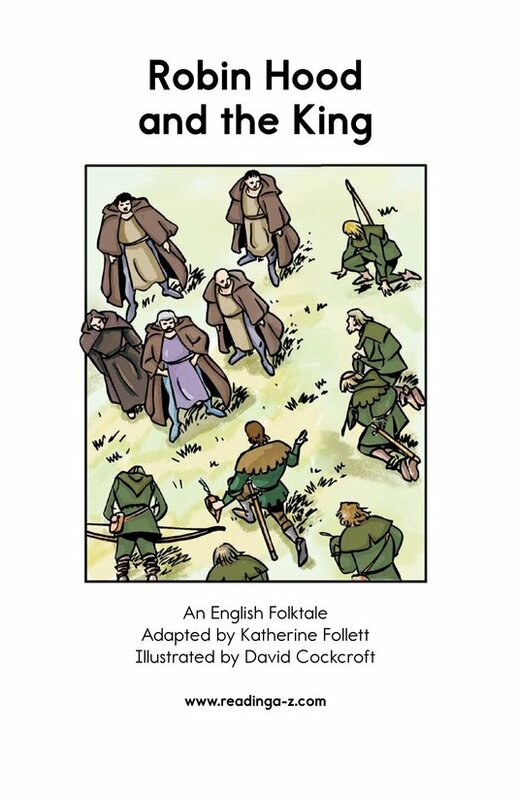 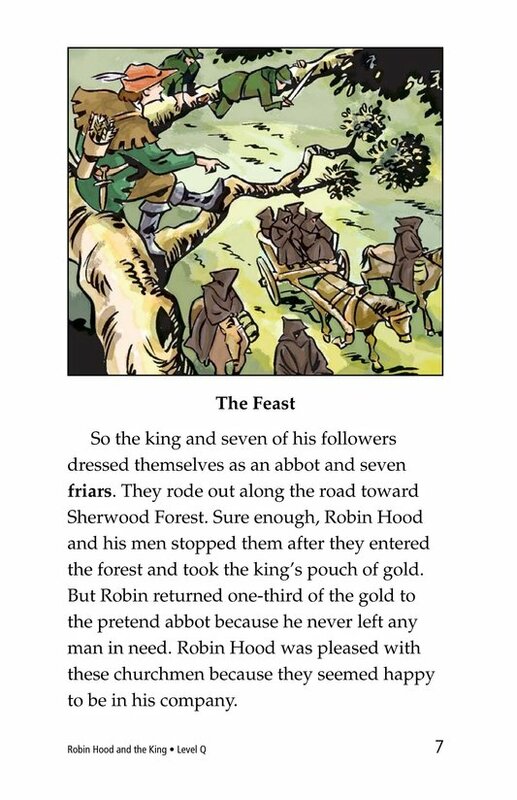 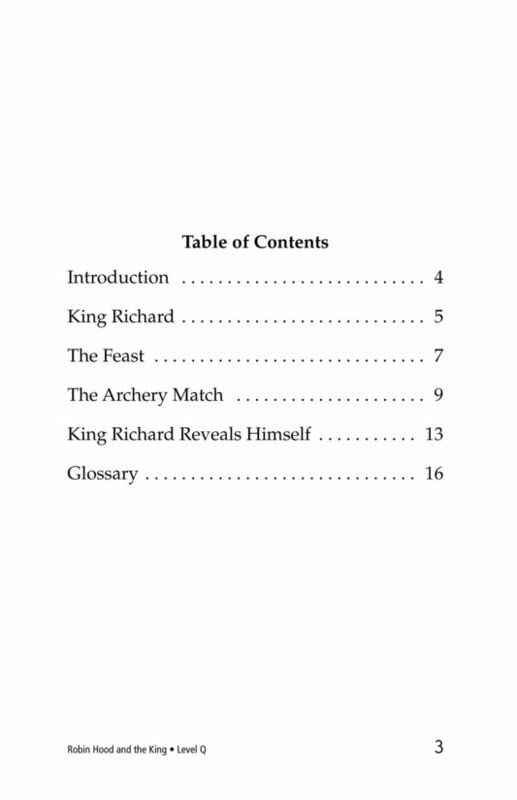 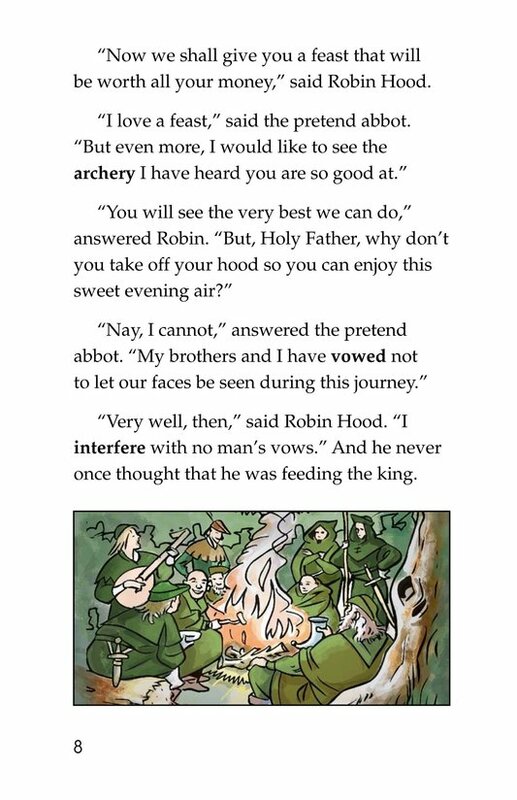 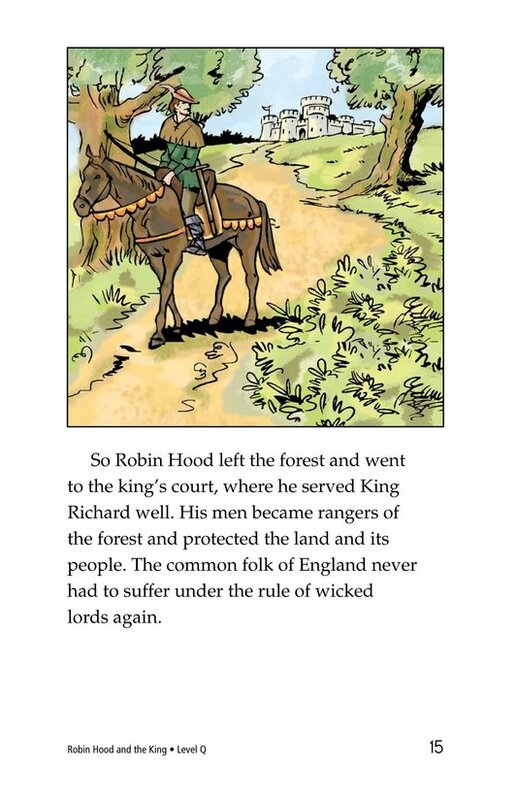 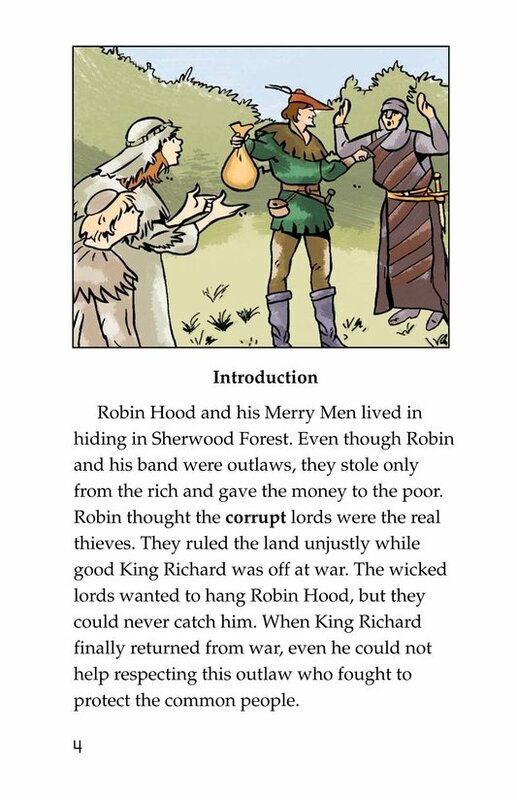 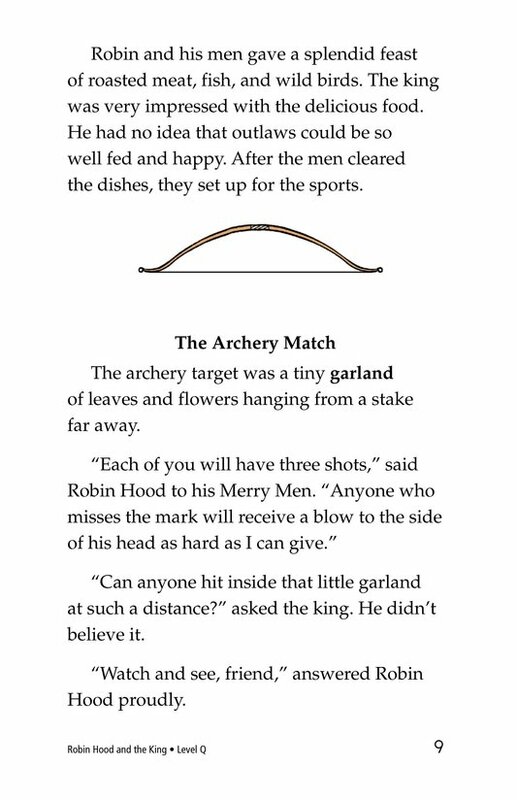 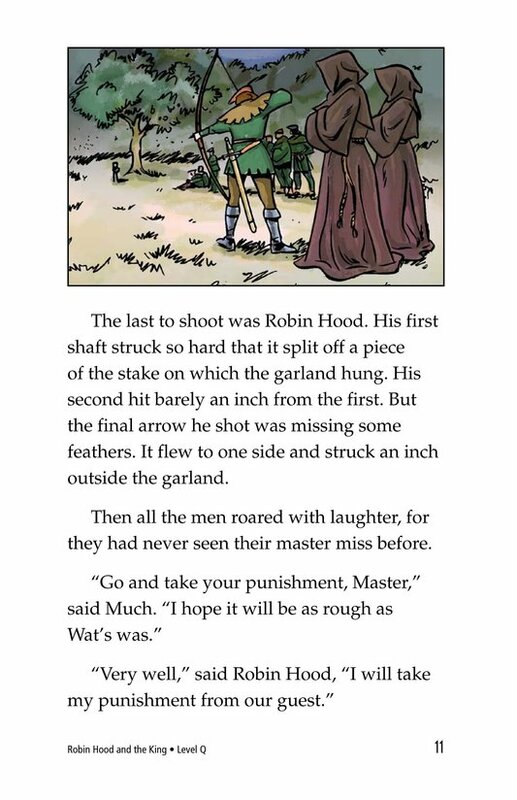 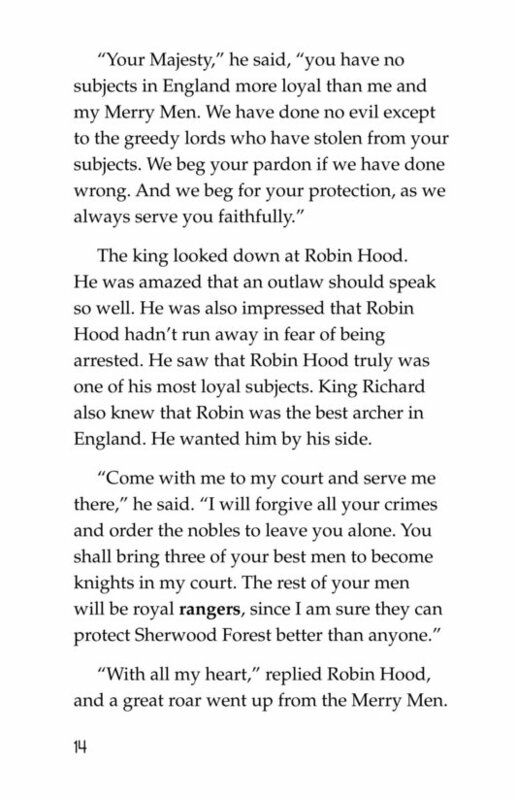 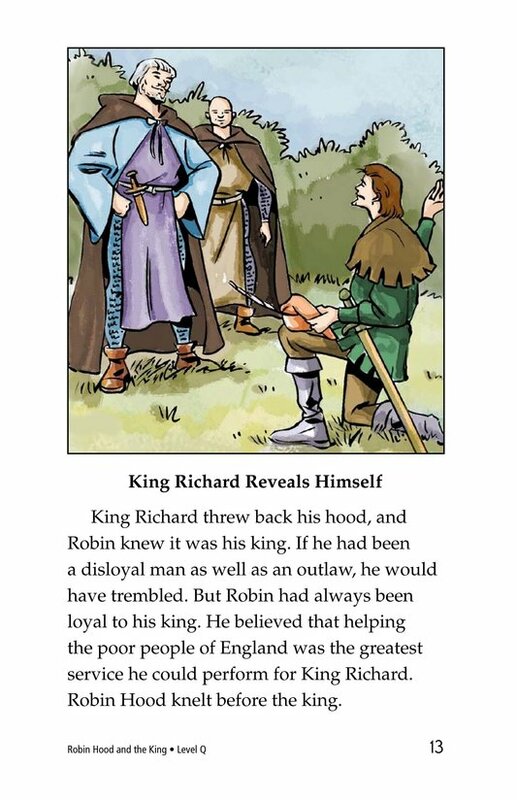 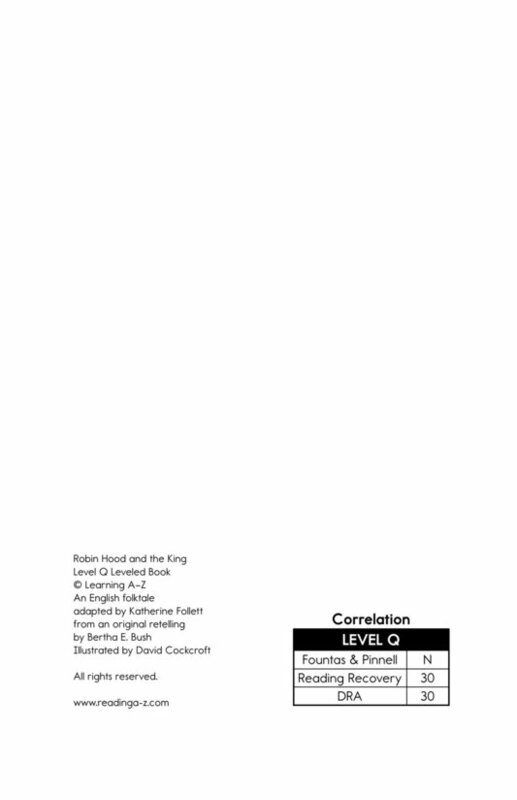 In this legend about Robin Hood and his band of Merry Men, the king sets out to meet Robin Hood. 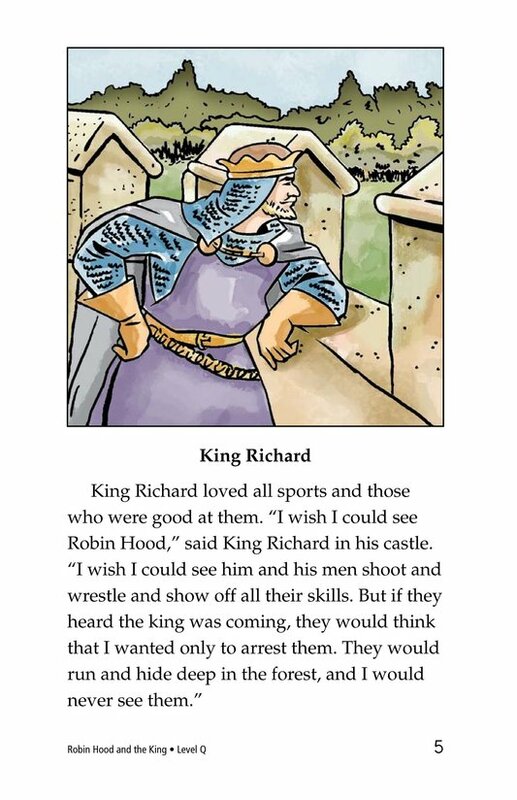 He loves all sports and knows Robin Hood and his men are the best archers in the kingdom. 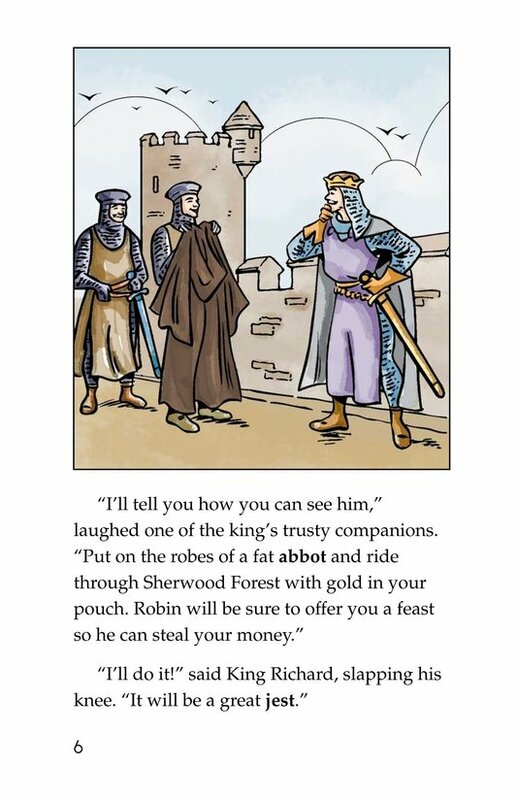 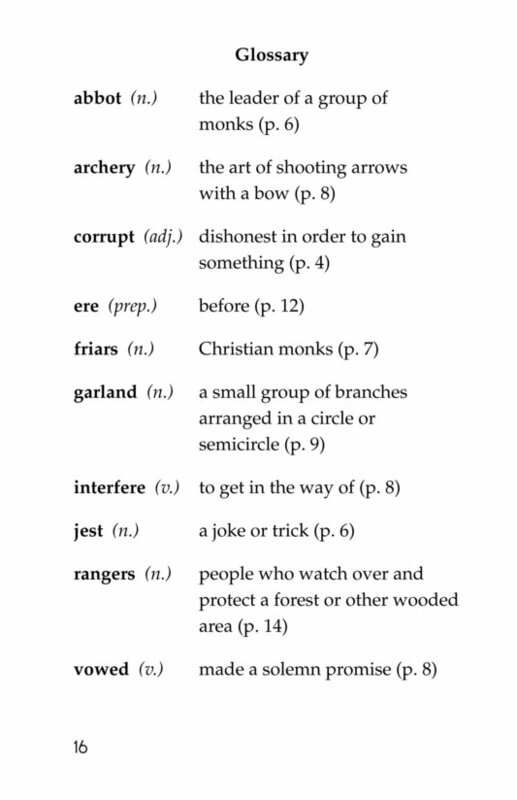 So he disguises himself as an abbot and heads through Sherwood Forest with a hundred pounds in his pouch. 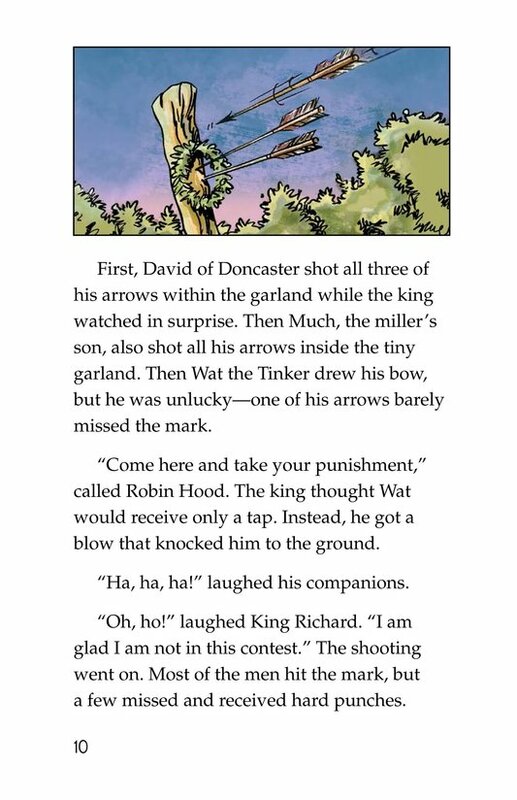 Robin Hood and his men take his gold but promise the king a show of fine archery, wrestling, and swordplay. 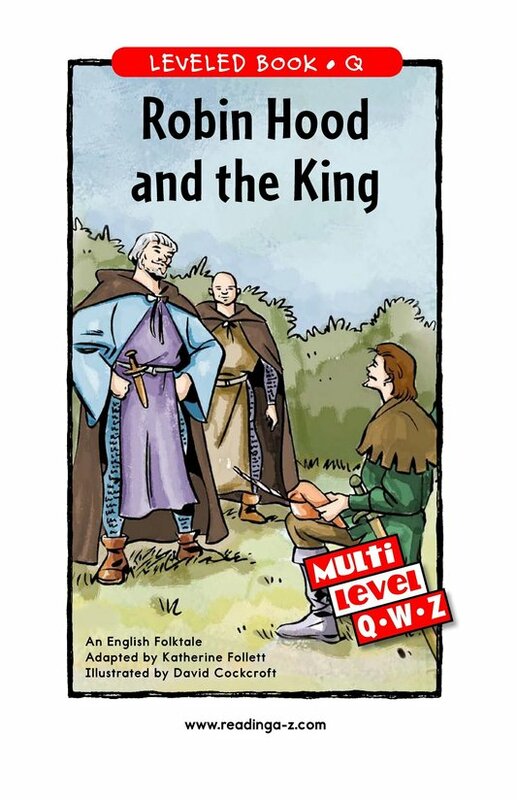 Book and lesson also available at Levels W and Z.